See information on Algonquin Outfitters stores by visiting our Store Locations Page. Access points along the Hwy 60 “corridor” are a popular choice for a number of reasons. First and foremost, they are the most easily accessible access points from southern Ontario, where the majority of park users are coming from. There are also many services and attractions available in this area, including the park’s Visitor Centre, numerous roadside campgrounds, hiking trails, a wide range of pre-trip accommodations, and, of course, our Oxtongue Lake, Lake of Two Rivers and Lake Opeongo locations. The two most popular access points along Hwy 60 are Canoe Lake (# 5) and Smoke Lake (# 6). Our Oxtongue Lake location offers free canoe delivery to both points, making them an easy and convenient choice with a wide range of route options. For the same reasons, these points can be very busy, particularly on holiday weekends and the July/August peak season. Rock Lake (# 9) is a nice alternative to Smoke and Canoe Lakes. A well-maintained gravel road leads south off Hwy 60 at kilometer 40.3, to the access point, roadside campground and the Booth’s Rock day hiking trail. Rock Lake itself is very scenic, with dramatic cliffs and beautiful islands. This area is a popular destination for day trips, easy “in and out” trips and the classic “Rock-Louisa-Welcome” loop for more ambitious canoe trippers. 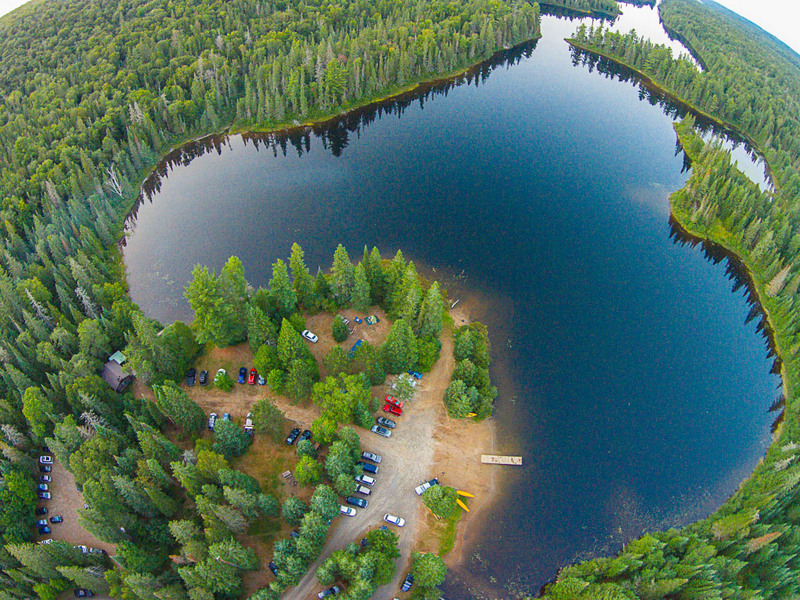 Access point 11 is located a the south end of Algonquin Park’s largest body of water, Lake Opeongo. Our Opeongo Store and water taxi service is located right at access point, with plenty of parking. At the end of a paved access road, only 6 km north of km 46 on Hwy 60, Lake Opeongo is a popular destination for day paddlers, especially kayakers. 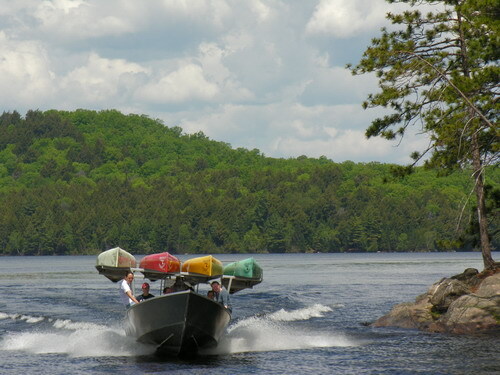 While Opeongo is well-known for being a “destination lake” for base camping, a short water taxi ride takes canoe trippers to portages leading right into the heart of the park’s interior. Our remote Brent Store is located on the shores of beautiful Cedar Lake, Access Point 27. Like Opoengo, Cedar is a big lake well-suited to base camping and day trips. Two of Algonquin’s major rivers, the Petawawa and the Nipissing, flow into Cedar, offering some nice route options for those looking for a more remote backcountry experience. Need some help with Algonquin Park Canoe trip planning?